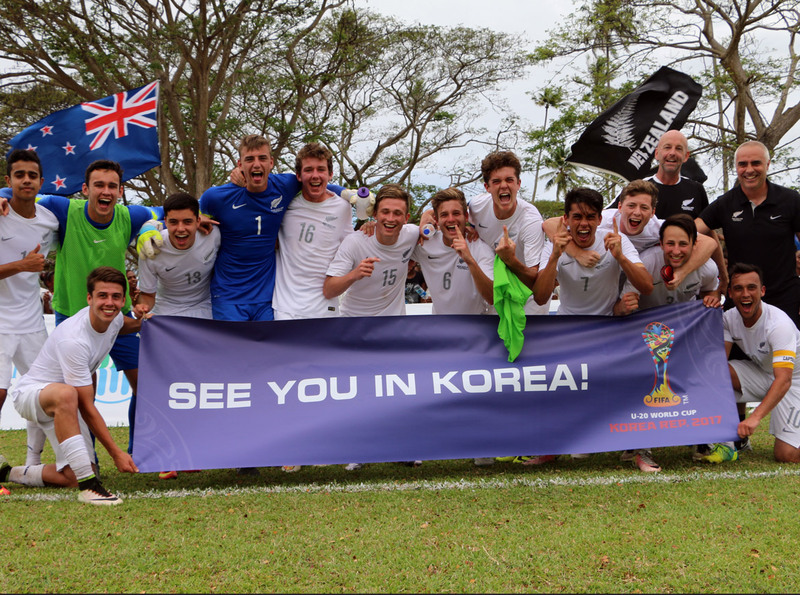 There's plenty on the line for teams taking part in both the OFC U-19 and U-16 Championships this year. Four teams will have tickets to the FIFA U-20 and FIFA U-17 World Cups by the end of September 2018 as the first steps in those journeys are decided by the Official Draws for the OFC U-19 and U-16 Championships. The draw for the two competitions took place at the OFC Academy with the Competition Managers from nine OFC Member Associations present. The OFC U-19 Championship gets underway in the Cook Islands with the Qualifier taking place in May with the hosts kicking off the first match day against Tonga, before American Samoa and Samoa meet. The tournament concludes on 31 May with the winner progressing to the OFC U-19 Championship in Tahiti, which is being held from 5-18 August in Tahiti. The Official Draw revealed the make-up of the two groups, with the Qualifier winner joining the hosts, Papua New Guinea and New Zealand in Group A. Group B will see Solomon Islands, Vanuatu, Fiji and New Caledonia playing for a place in the semi-finals. The winner of each semi-final will qualify for the FIFA U-20 World Cup, and the final of the OFC U-19 Championship. The OFC U-16 Championship will begin in Tonga on 14 July with the hosts once again the first nation in action, this time meeting American Samoa in the opening match. Samoa and Cook Islands will also play on Match Day 1 of the Qualifier. The team at the top of the standings after Match Day 3 on 20 July will progress to the OFC U-16 Championship in Solomon Islands where they will join the seven remaining OFC Member Associations. Group A features host Solomon Islands along with Vanuatu, New Zealand and Papua New Guinea, while Group B is made up of the teams representing Fiji, New Caledonia, Tahiti and the Qualifier winners. As with the OFC U-19 Championship, the top two nations in each group will progress to the semi-finals where the winners of each match will qualify for the FIFA U-17 World Cup, and a place in the final for the regional competition being held on 22 September. To view the match schedule for the OFC U-16 Championship 2018 click here, and for the Qualifier click here. To view the match schedule for the OFC U-19 Championship 2018 click here, and for the Qualifier click here.